Gentle Yoga is intended for everyone – yoga veterans and yoga beginners, athletes with a longing to improve the litheness, and anybody at any age or fitness level who would like to strengthen, elongate, and relax at a gentle pace. Through a gentle approach, you will get encouraging results in flexibility, strength, and mental posture without triggering injury, strain, or further stress to your body. 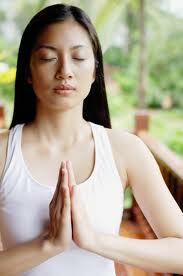 Gentle Yoga is a class planned in the order of healing and rejuvenating the body. Yoga props, such as blocks, blankets, chairs, bolsters, and straps are frequently used for safe practice, and let the body to wholly attain each position at ease. This class is exercised at a slower tempo and concentrates on stretching all parts of the body, while discharging tension and stress from joints and muscles. A gentle yoga practice compiled of the following poses may defy the flaming energy of the hot summer season. This series is outlined to invigorate without overheating and can be done at home within 30 minutes. 1. Dhanurasana (Bow): Recline face down, legs together, hands beside your sides, palms facing up. Twisting at the knees, take your heels as close to your buttocks as possible. Lift your head, stacking your chin on the floor, afterward reach back with your hands and grip your ankles strongly. Pull with your arms and legs, lifting up your head, knees, chest, and thighs off the floor. Lift your grasped legs as high as possible, be the spine relaxed. Put your entire body weight on your navel. Breathe in and slowly breathe out. Keep the stance for five to10 breaths, then release. Do it for two times. 2. Vajrasana (Thunderbolt): Begin the pose by placing yourself on your knees and hands, subsequently sit back on your heels and look frontward. Hang on to your spine straight and rest your palms on your thighs. After that breathe in and then slowly breathe out. Keep the stance for five to 10 breaths, after that breathe out completely. 3. Vakrasana (Spinal Twist): Take a seat on the floor with your legs jointly and outspread, hands flat on the floor behind you. Take your palms close to your buttocks. Bend your left knee and set your left foot through the inside of your right knee. Wind from the middle of your torso, taking your right shoulder in the direction of your left knee. Position the elbow outside the knee, maintaining your torso lifted up. Let your left hand on the floor at the back of you. Twirl your neck and body contentedly in the direction of your left hand. Breathe in and then slowly breathe out. Keep the stance for five to 10 breaths, then slowly release. Do it again on the other side. Rehash the entire sequence two to four times. 4. Viparitakarani (Leg Lift) Lie down on your back and lift up your legs on top of you at a 90-degree angle. Keep the stance for five to 10 breaths; subsequently bend your knees to let loose. Do the sequence two to four times.